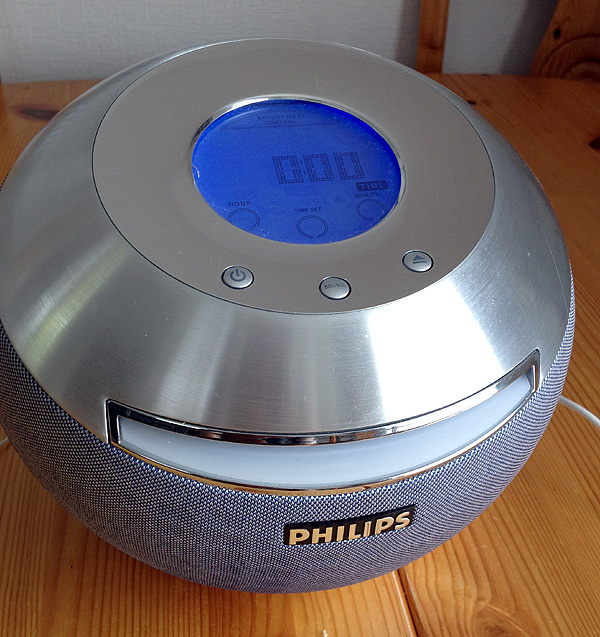 So we have one of these Philips CD Soundmachine PSS010 things with Touch Screen. Radio reception is crap where we are and who uses CDs anymore, it doesn't get used but the sound is great from this tiny sphere. 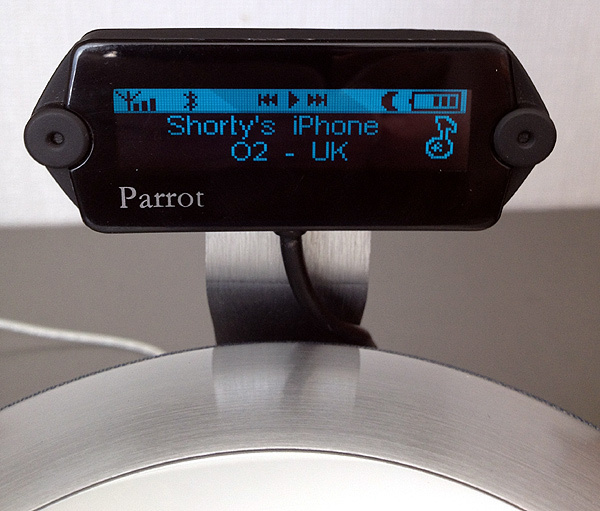 I also had an in-car Parrot MK6100 Bluetooth device. If I mashed these two together I'd have music in the kitchen from my phone or iPad? Fit that in that OK. 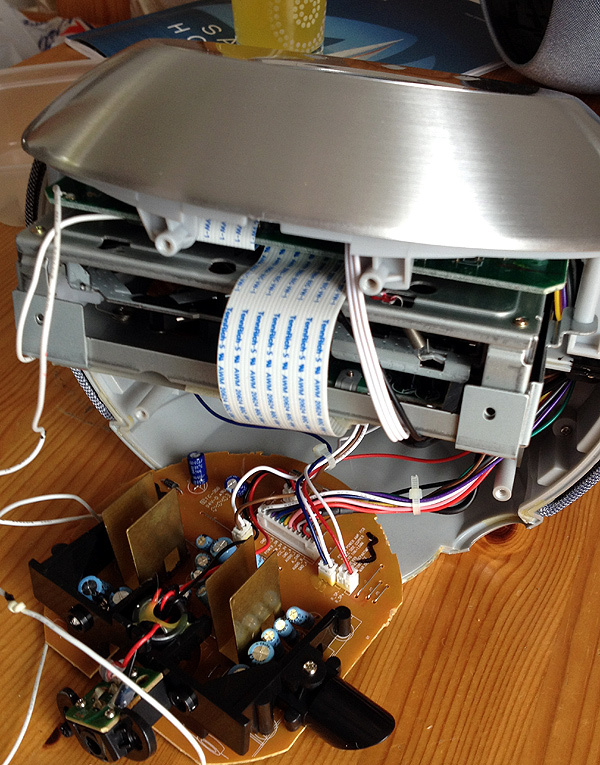 Pull its guts out, and throw that disk playing thing away, pa! 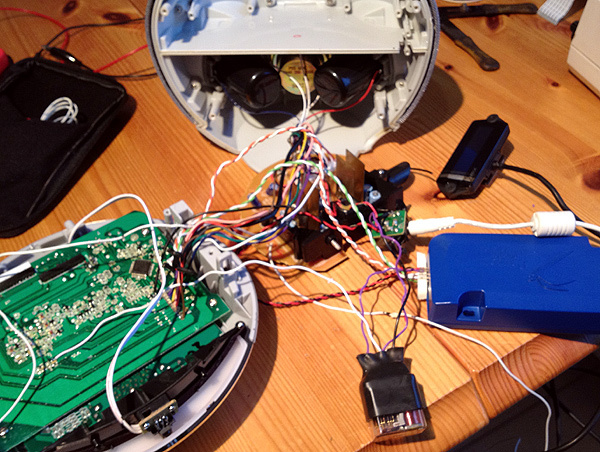 Wire up the pre-amp output form the Parrot to the pre-amp side of the Philips, normally the Parrot would drive all the speakers in the car. Add a relay here, wires there, foam, alloy bracket and squeeze it all in. 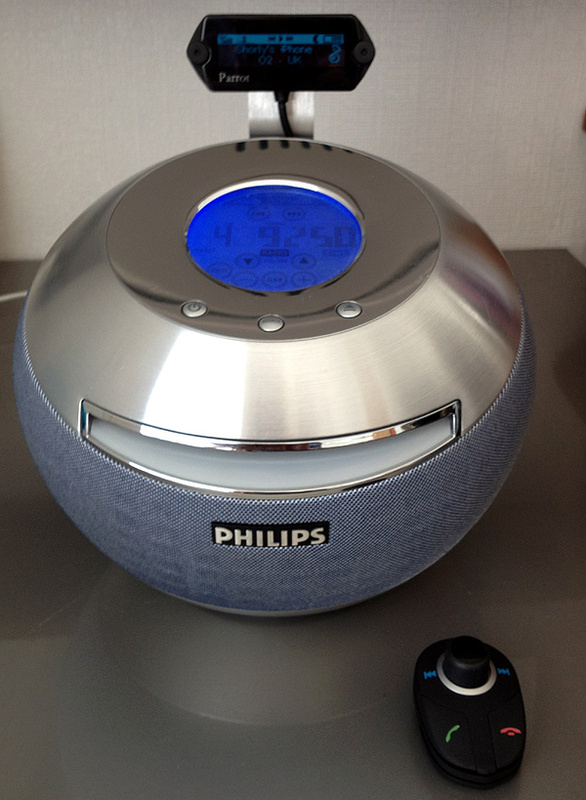 I wanted to use the internal amp of the Philips because it was tuned to it and had Super Base option for the woofer. Hands free in the Kitchen and some good sounds too. 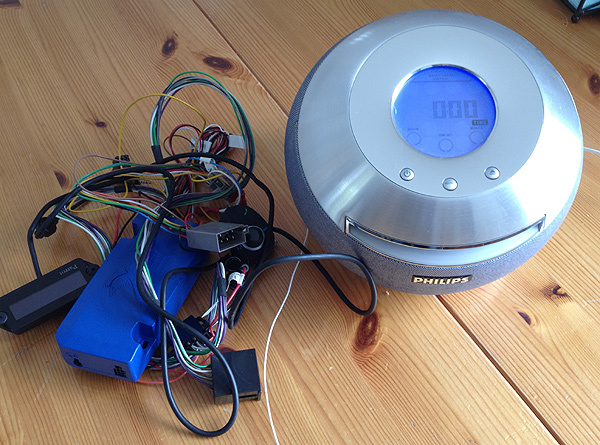 It even has voice recognition and that control above on the right is wireless too, does volume, track and phone stuff.